NAC is utilized by the body to increase glutathione levels. Glutathione is one of the body’s most powerful antioxidants and detoxifiers and is able to help strengthen the immune system. PharmaNAC contains 900mg of pharmaceutical grade N-acetylcysteine per effervescent tablet. 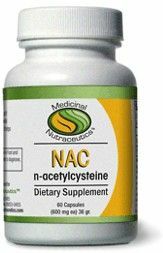 NAC is utilized by the body to increase glutathione levels. 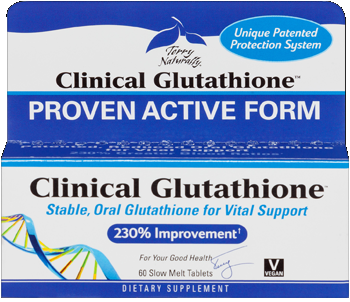 Identified as one of the bodys most ubiquitous and powerful antioxidants and detoxifiers, Glutathione is able to help strengthen the immune system and reduce inflammation that may be found in the respiratory tract. Other benefits may include normalizing cysteine-glutamate levels in the brain, which may be helpful to those with autism, bipolar disorder, and compulsive behaviors. The quality of PharmaNAC is controlled according to pharmaceutical guidelines. Thiolex, the brand of N-acetylcysteine used in PharmaNAC, is certified compliant to the standards of European Pharmacopoeia and USP. Additionally, each PharmaNAC tablet is wrapped at the moment of manufacture in a 4-layer paper-foil-plastic-paper to protect it from degradation and oxidation. 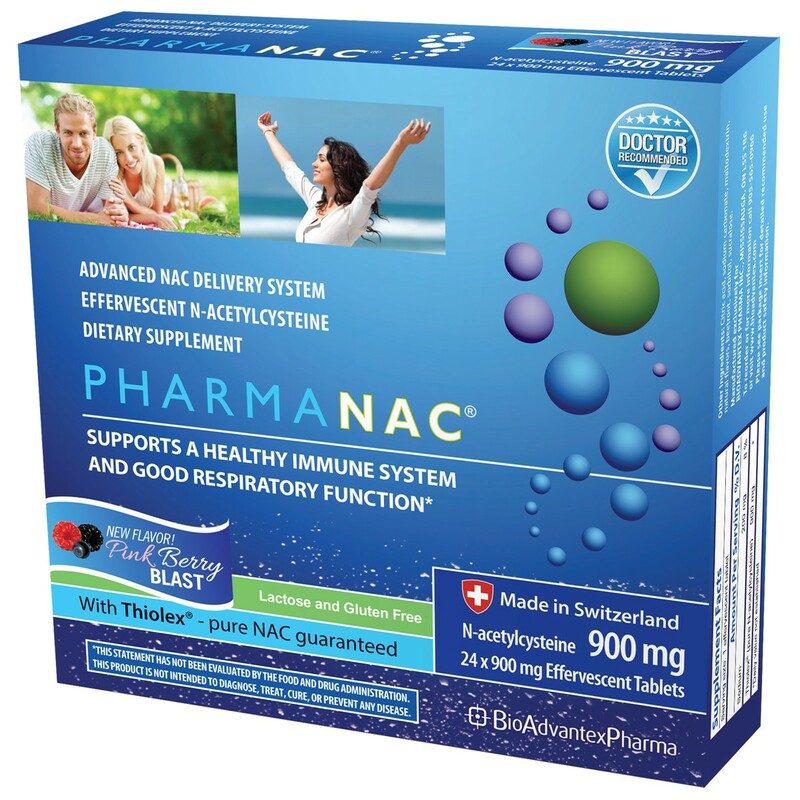 PharmaNAC contains 900 mg pure NAC, guaranteed. Dissolve one tablet in water, fruit juice, or carbonated beverage twice daily, or at the advice of your physician. Do not consume with milk or milk products. May be taken with or without food. Lactose and Gluten Free. Citric acid, sodium bicarbonate, sodium carbonate, mannitol, wildberry flavor, acesulfame potassium, sodium citrate.